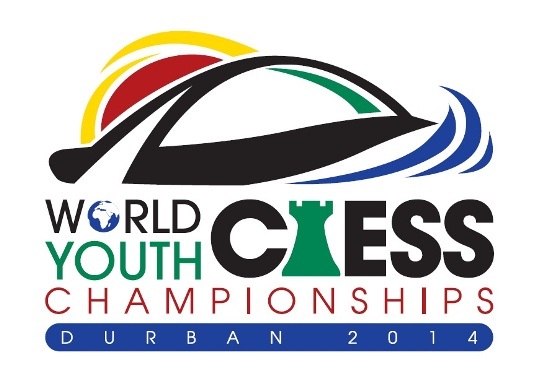 The FIDE World Youth Chess Championships 2014 will be held in Durban, South Africa from 18th September to 30th September 2014 organized by the South African Chess Federation under the auspices of FIDE. All FIDE members and chess academies are cordially invited to participate in the 2014 World Youth Chess Championships. The Local Organizing Committee is honored to host this prestigious event and we sincerely hope that you will enjoy your visit in Africa. The Championships will be hosted at the International Convention Centre, Durban, Kwa-Zulu Natal, South Africa. The ICC Durban is one of the most advanced conference facilities in the world. The ICC Durban is purpose-built, fully air-conditioned and comprises six convention halls that are interlinked, but separate. Halls 4-6 double as convention and meetings spaces and the flat floor space for the ICC Arena makes it the leading indoor sports and entertainment venue in Durban which accommodates up to 10 000 spectators. Time Control: 90 minutes for the first 40 moves; Followed by 30 minutes for the rest of the game; 30 seconds per move starting from move one. Each National Federation can register a total of twelve (12) Official Players, that is, one official player in each category (under 8, 10, 12, 14, 16, 18 years old; open and girls) plus one accompanying official, provided he/she holds a valid licence and title as a FIDE Trainer. The players placed 1st to 3rd in the previous FIDE World Youth Championships, and the respective Champions of the 2014 Continental Youth Championships, shall have the personal rights to participate in the World Youth Championships of the corresponding age-category or a higher age category if the age stipulation is met. Such players shall also be classified as Official Players and have to be registered by their respective National Federations. Other than Official Players, all other players shall be classified as Additional Players. All other persons other than players or the Accompanying Official shall be classified as Accompanying Persons. A Federation may register any number of Additional Players and Accompanying Persons but they shall be responsible for their own costs. In order to provide appropriate tournament conditions, the Federations must complete the official online registration form, in full, and submit to the organising committee by no later than 17 July 2014. FIDE endorsed Chess Academies may register not more than one player per age group per gender per event. The deadline for the reservation and payment of a 50% deposit on the accommodation is 17 July 2014. Any accommodation payment made after the deadline, will incur a surcharge of 10%. Durban is the largest city in the South African province of KwaZulu-Natal, also known as the Zulu Kingdom. Durban is also the major centre of tourism in South Africa because of the city’s warm subtropical climate and extensive beaches.